Michael was part of the first graduating class of Urban Scholars, a partnership with City Gospel Mission that identifies students of great need and potential and provides a full scholarship through CCU. “What a blessing it is for this young man to be associated with Sabrina in a greater role at her school,” says Cherie, who has helped this extremely shy girl begin to break out of her shell over the past three years. 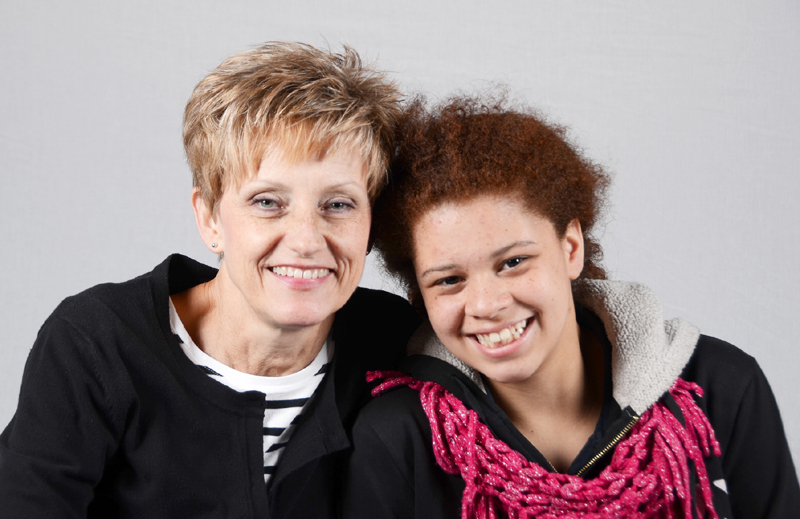 Cherie works with the school administrators and teachers to make sure Sabrina, who struggles with ADHD and other learning challenges, is getting the tools she needs to succeed and is staying on track academically. Sabrina has gone from struggling in school to getting A’s in all of her core classes! Cherie helps Sabrina grow socially, spiritually and academically, Sabrina infuses Cherie’s life with more purpose, and Michael helps Sabrina after first being helped himself by City Gospel Mission. Receiving, giving back, and receiving again, coming full circle. And you, as a supporter of this ministry, and God are blessing everyone in the middle of it all.